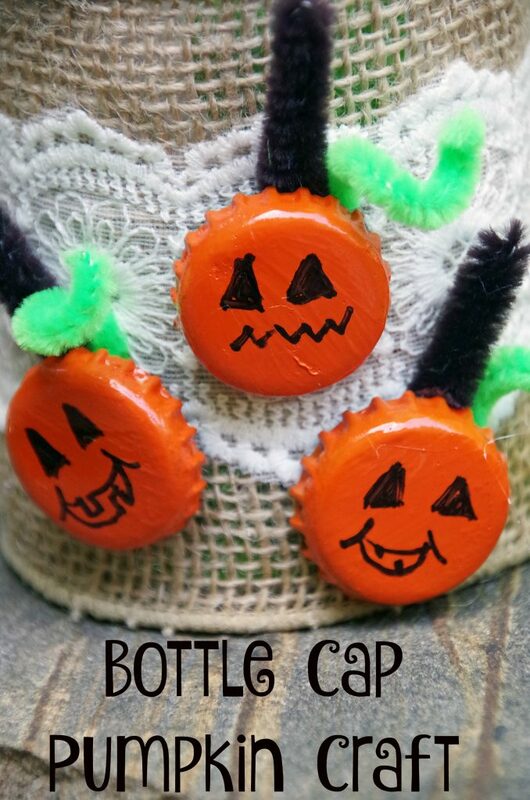 Home » Crafts and DIY » Easy Bottle Cap Pumpkin Craft is Awesome Fun for Everyone! My husband is a bit of a beer snob and rarely drinks a beer that comes from a can. That means I had more than enough bottle caps to make this bottle cap pumpkin craft! When we first moved to this house 10 years ago, we installed a bottle cap remover on the wall in the garage. We placed a box under it to catch all the caps that popped off. After 10 years, we have accumulated a whole bunch of bottle caps! I have been trying my hand at a few bottle cap crafts over the last year and honestly, even very uncrafty ME can turn a bottle cap into a magnet! 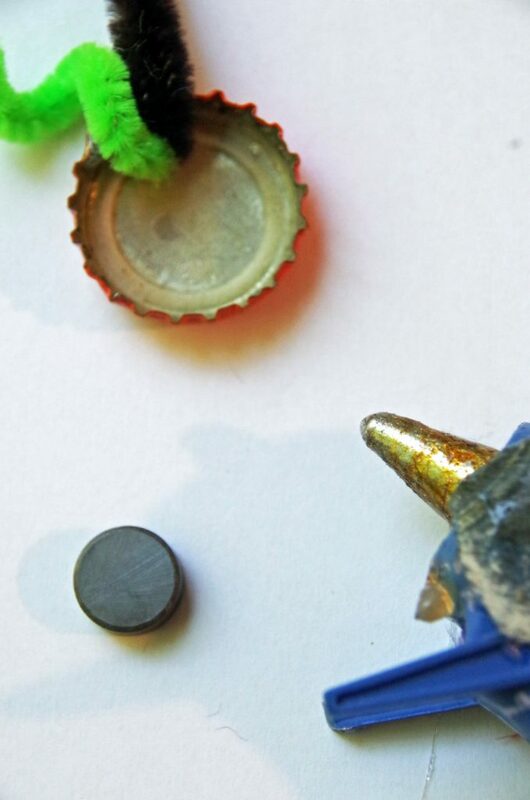 For this easy bottle cap craft, you need very few supplies and it is incredibly simple. You will need a bit of time between paint jobs to let each coat dry but other than that, this is an incredibly easy craft idea. So, the next time you pop a bottle cap off of your beer (or soda! ), why not hold onto a few of the caps and try your hand at some upcycled craft? 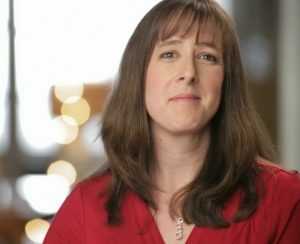 I will include a few affiliate links for products you might need. 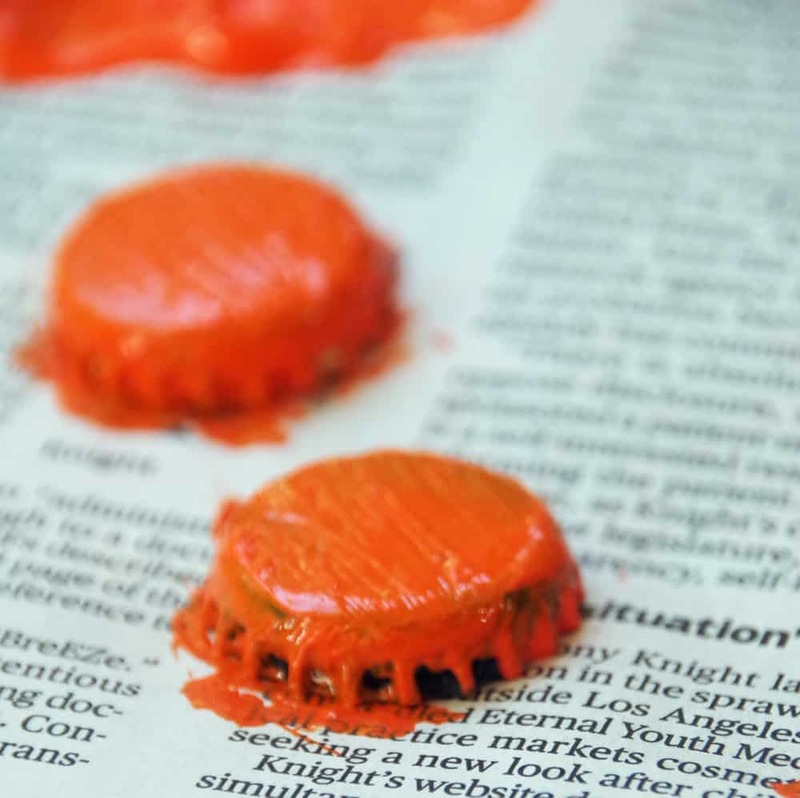 The first thing you need to do for your bottle cap pumpkin craft is to paint the bottle caps. This will probably take a couple of coats of paint. Just make sure you let them dry in between each coat of paint. Turn your pumpkin over and hot glue a small magnet to the inside of the bottle cap. 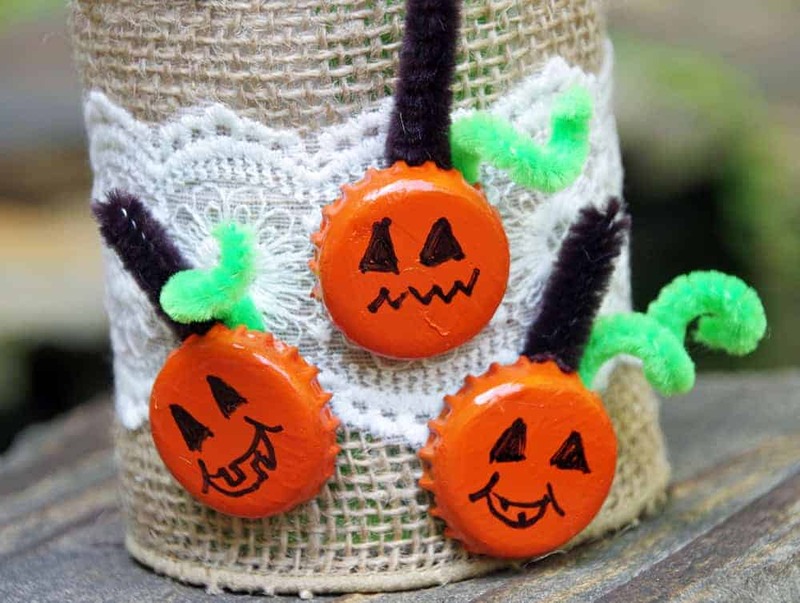 Once your hot glue has dried and your stem,vine, and magnet are secured onto your pumpkin craft, you can draw your face onto the center of the bottle cap. That’s it! Just place your pumpkin on the refrigerator and enjoy! Like this pumpkin craft? Pin it for later! 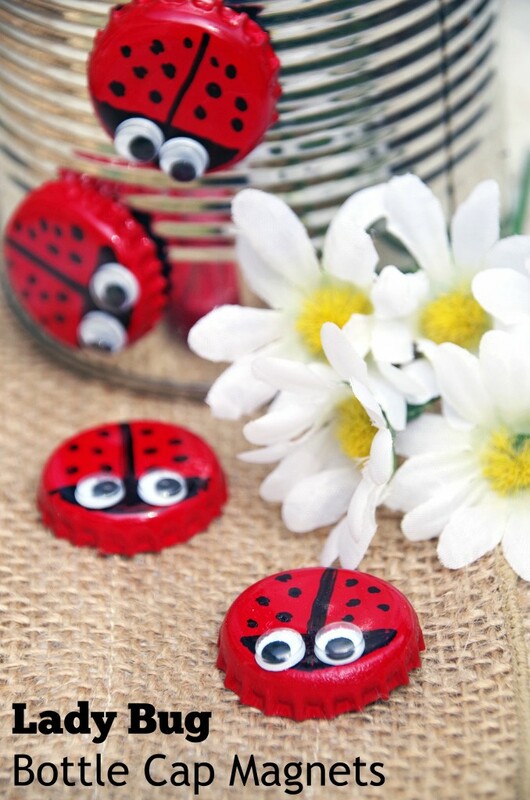 If you enjoy bottle cap crafts, try this one, too!